Jesse Spencer is an Australian actor and musician. Spencer was born in Melbourne, Victoria, Australia. His parents Robyn and Rodney Spencer are the founders of the Australians Against Further Immigration political party and have run several times as candidates in federal and state elections for that party and for One Nation. He has two older brothers, Tarney (an oculo-plastic surgeon) and Luke (an orthopaedic registrar), and a younger sister, Polly (an anaesthetic registrar). Spencer attended Canterbury Primary School, Malvern Central School and the private Scotch College. Whilst at Scotch he auditioned for the long-running soap opera, Neighbours. He continued to work toward his VCE qualification while working on the show and graduated in 1997. He was nominated for Logie Awards in 1998 and 1999 for "Most Popular Actor" for Neighbours. In 2005, he was nominated for "Choice TV Breakout Performance  Male" for House M.D. at Teen Choice Awards and nominated in 2009 at Screen Actors Guild Awards for "Outstanding Performance by an Ensemble in a Drama Series". Spencer received a "Golden Boomerang" Award by Australians in Film at the 2nd Australians in Film Breakthrough Awards on 11 May 2006, for his work on House, alongside Jacinda Barrett, James Wan and Leigh Whannell. In 2007, he was included in People Magazine's 100 Most Beautiful People issue. 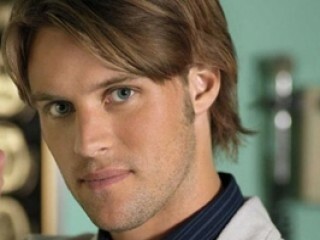 View the full website biography of Jesse Spencer.